As we slowly approach the end of January, I’m surprised to say that we still have some snow on the ground in our back yard. My astonishment mostly lies in the (sad) fact that I can’t remember the last time we actually enjoyed a proper, prolonged winter (it was sometime during my childhood). This time last year, we only had mud, rain and just a handful of snowy days which weren’t enough to satisfy our white holiday cravings. Castle buffs will certainly enjoy visiting the Southern Carpathians, one of the main areas in Transylvania which Saxons have called their home. The myriad of medieval fortified churches they have left behind – some in ruins, others still frequented today – corroborate their strong presence and impressive heritage. We managed to squeeze in five such architectural gems during this trip. Due to lack of time, we only stopped to see them on the outside, however you can almost always find the priest living in one of the charming homes in the vicinity. The priest is usually the one to hold the keys to these Saxon churches and is more than happy to show you around for free (donations are always welcome). Located in Alba County, Câlnic Fortress is one of 7 Transylvanian Saxon Churches under UNESCO protection. Construction of the citadel’s earliest version began way back in the 13th century and despite being targeted by Ottoman troops and other enemies throughout its tumultuous history, the fortress is still standing strong these days. Situated 45 kilometers east of Câlnic, the village of Cristian in Sibiu is also the proud proprietor of a gorgeous Saxon fortification. Similarly to the previous edifice, it was built in the 13th century, and the Evangelical church is in quite a remarkable state even today. Heading further east, we will find Cârța Monastery by the left bank of the mighty Olt River, pretty much halfway between the cities of Sibiu and Făgăraș. Founded in 1202-1203, the Benedictine edifice is over 800 years old. It is used today by the local Evangelical Saxon community. Before reaching Făgăraș, you can make a quick detour to see the Saxon heritage of the small village of Cincșor. Also built in the 13th century, this medieval fortification stands out from the crowd due to its doubled walls, ensuring extra protection against enemy forces. The fortification’s Gothic church was constructed in the 15th century and contains a hand-painted altar, the masterful work of a local Saxon artist. Last but not least we have Prejmer fortress and church, located 17 kilometers east of Brașov in a small village bearing the same name. Similarly to Câlnic Fortress, Prejmer is also included in the UNESCO World Heritage Sites list and has undergone a series of renovations just recently. Castle-hunters exploring Transylvania for its medieval vibes shouldn’t miss out on a visit to Făgăraș Fortress. Located right at the hub of the city, surrounded by a lush park, this citadel was completed in the 17th century and is still in pretty good shape today, thanks to regular renovation projects. Even though we arrived after closing time and couldn’t get in, we still put on an extra layer of clothes and took a stroll around the fortification to at least admire it from the outside. Since darkness almost caught up with us during our stop at Făgăraș Fortress, it was time to head towards our accommodation site. We chose to stay at a guesthouse in Bran and continue our journey through the Southern Carpathians in the morning. On our way towards the accommodation we caught ourselves in a massive snow storm, having to sit in the car for more than 2-and-a-half hours on a drive that usually took 60 minutes. Nevertheless, we arrived safely through the snow-covered road to the lodging, had a good night’s sleep and woke up the next day to find a true winter wonderland around us. We decided to go further up on the road of our accommodation site, to admire the white landscape. This road is called Strada Valea Porții and actually leads to the Bran-Zănoaga Ski Complex. If you have chain on your car’s tires, that is. If not, then just like us, you can go to the edge of the Bucegi Mountains, and simply enjoy the scenic view, the massive trees and the inviting mountain cabins. To delve into some more wintry rural landscapes, we decided to change mountains and head towards the village of Moieciu de Jos, at the foothills of the Piatra Craiului Mountains. But of course we couldn’t proceed with our trip before taking a few quick shots of the iconic Bran Castle now, could we? The quirky edifice still stands strong and attracts more visitors than ever from around the world. 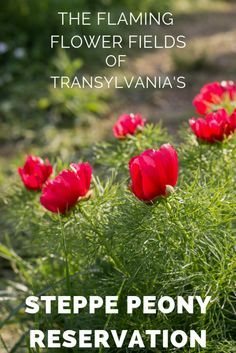 If you’d like to read more about it, there’s an in-depth guide about Bran Castle and Village Museum from our visit 4 years ago in the archives. Although we didn’t get very far in Moieciu de Jos, (thanks, heavy snowfall! ), we still managed to capture a few (in my mind) typically Transylvanian landscapes (here’s looking at you, sheep!). We saw a large group of foreign tourists snowshoeing in the area, so if you’re into these kinds of things, I am sure you can arrange such a visit through local travel agencies. We also caught a quick glimpse of the other side of the world-renowned Bran Castle. This is quite a rarity, since we live in Tg. Mureș and it’s not often that we get to access Transylvania from the south-eastern direction. Whenever we’re in the area, we almost always stop to take a few shots of Râșnov Fortress. There’s already an entire blog post dedicated to the iconic building and it’s surroundings, so I don’t want to get into much detail (read the article if you want to know more). Somehow this medieval remnant really fascinates me, and from what I can tell, it’s one of the more popular fortresses in Romania. Since we didn’t have any proper winter photos of Râșnov Fortress, a quick shot from the side of the road didn’t suffice this time. Instead, we made our way into the heart of the city, to try and capture it together with at least a portion of the town as well. I knew of a particular street which I’ve seen in other photos boasting colorful homes, so we headed there. If you’d like to take your own shot from this specific angle, then you need to get yourself to Republicii Street. We were somehow lucky enough to find a parking spot there and managed to get the photo we wanted in quite a short amount of time. After seeing a signpost by the side of the road, we decided on a whim to drive up to Poiana Brașov Ski Resort, with supposedly the most popular and the most expensive ski slopes in the country. We didn’t have our gear with us, since we didn’t expect to go skiing. Nevertheless, we were curious to see what all the fuss was about, as we’ve heard so much about it and still didn’t know what to expect. Despite the heavy snowfall we experienced that day and the days before, the roads were completely snow-free and the path was quite beautiful in my opinion. Once we arrived, the slopes were barely visible in the distance, since it started snowing again. The majestic pine trees where all covered in white powder and were actually magical to look at. The slopes were crowded, music was blasting through the speakers and people were enjoying the wide variety of winter sports available. We didn’t stay too long and continued our journey on the 1E road towards Brașov. Despite our intentions to head home, we just had to stop along the way. It so happened, that a wonderful panoramic view of Brașov appeared, with Tâmpa Mountain towering in the background, and we couldn’t pass on the chance to capture its charm. If you haven’t visited the city yet, then a sightseeing trip through Brașov is definitely worth considering. And while you’re checking off the town’s main attractions, make sure you include at least a few of the 5 best views of Brașov in your itinerary. Feel free to Pin the post to Pinterest to help spread the word! Adri, I could look at your photos of the snow all day. These are beautiful! Aww, John, that is so kind of you! Dreamy thoughts with attractive photography seem like a heaven on the earth. I should have much rather asked you if you have a spare seat in your car. Then you can come back next year and beat those pompous runners who managed to complete the race in half the time! I loved your blog, I had a lot of fun reading each of your stories, I’ll be waiting for more publications to continue reading and enjoying your work.